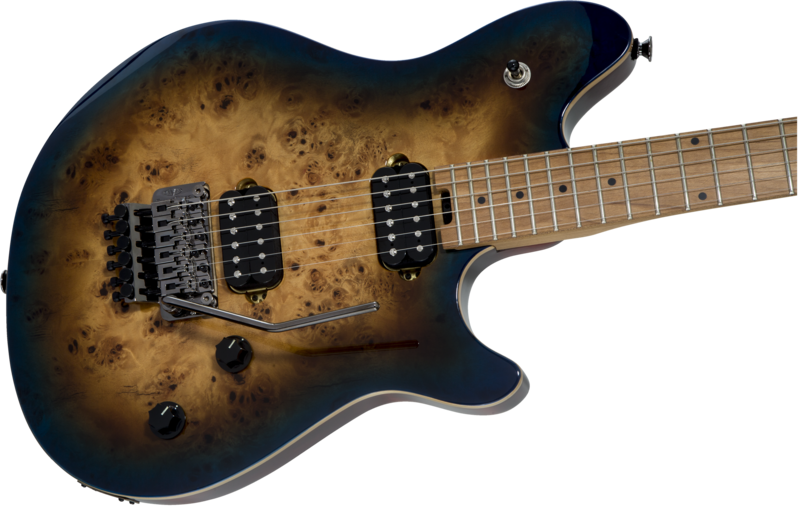 The Wolfgang WG Standard Exotic features a basswood body with special “comfort cut” forearm contour for maximum playing ease, along with attractive masked-off natural body binding and a unique poplar burl top. 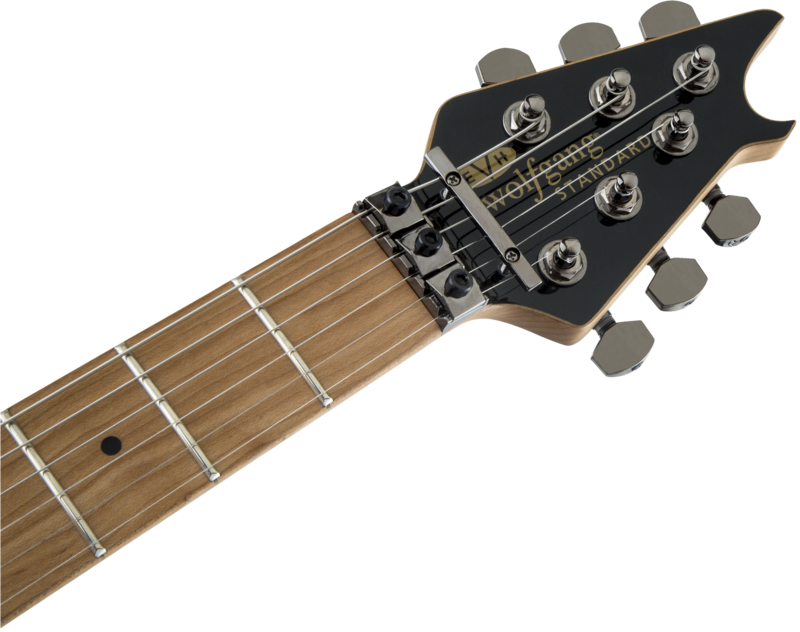 Its one-piece bolt-on baked maple neck with graphite reinforcement rods hold strong against the ravages of temperature and humidity, while a conveniently located spoke wheel at the base of the neck makes for quick and painless truss rod adjustments. Designed for comfortable playability and speed, this stylish axe also features an oiled neck back finish and a 12”-16” compound radius baked maple fingerboard with rolled edges, 22 jumbo frets and black dot inlays. 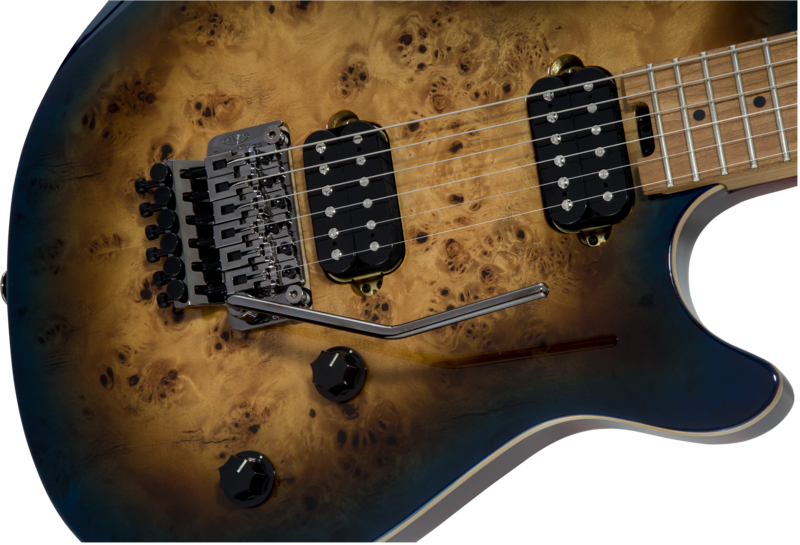 Decked out for playing performance and comfort, the Wolfgang WG Standard Exotic is available in a stunning Midnight Sunset finish with a black headstock and black chrome hardware.